VPO - Kamand, Mandi - 175005, Himachal Pradesh, India. This 5-day workshop is intended to edify the theoretical and practical aspects of the recent technological advancements made in earthquake resistant design of structures. The speakers will initiate an introduction to the concepts of structural dynamics and earthquake engineering. Site specific seismic hazard analysis, which is becoming more common for any important structures, will be discussed in detail with practical examples. Special attention will be paid towards recently revised provision of the earthquake resistant design code along with hands-on exercises. The aim will be to highlight the important changes in the revised code and its impact on the practical applications. Earthquake mitigation devices — concept and their applications — will be discussed. Concepts and applications related to structural health monitoring will be covered in the context of earthquake engineering. The workshop will also include various topics on liquefaction potential, landslides and slope stabilization, etc. which are typically associated with any seismic event. The economic losses, likely to be incurred by a structure due to earthquake induced damages, will be covered in line with the performance-based-seismic design philosophy. The short course will be of immense interest to the faculty members and graduate students, practicing civil/structural/geotechnical engineers, architects and consultants. Nestled in the Sivalik Range of the Himalayas, away from the bustle of the metropolis, a new abode of learning has germinated. 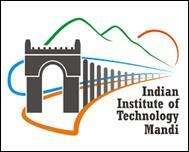 IIT Mandi has been established with the vision to be a leader in science and technology education, knowledge creation and innovation, in an India marching towards a just, inclusive and sustainable society. The School of Engineering encompasses various research groups from civil, mechanical and, material engineering. The Civil Engineering group aims to work towards sustainable living in Mountains with research more aligned towards the analysis and mitigation of seismic vulnerability of local infrastructures and local problems like landslides, and providing sustainable solutions for better living in Himalayan region. 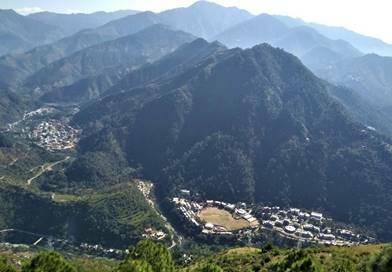 IIT Mandi is located in Kamand, about 15 km from Mandi town. IIT Mandi's shuttle buses ply regularly between Mandi and Kamand. On regular working days, the first bus to Kamand is at 7:00 AM, and the last bus is at 8:30 PM. The bus route starts from Mandav Complex (above ISBT Mandi), – the transit campus of IIT Mandi at Mandi town. Himachal Road Transport Corporation/Local buses also ply between Mandi and Kamand (Bus schedule). One can also take a taxi from the Mandi bus stand to reach the campus. Un-furnished sharing accommodation to participants will be provided in IIT Mandi boys and girls hostels based on specific request in-advanced (subject to availability). Few rooms in the institute guest houses may be booked for the participants on additional payment basis. VPO - Kamand, Mandi- 175005, H.P., India.